Summer Jacket - Leather Collar Biker Jacket in Black is a fully perforated jacket designed to let bike enthusiasts take a ride during the light summer breeze. 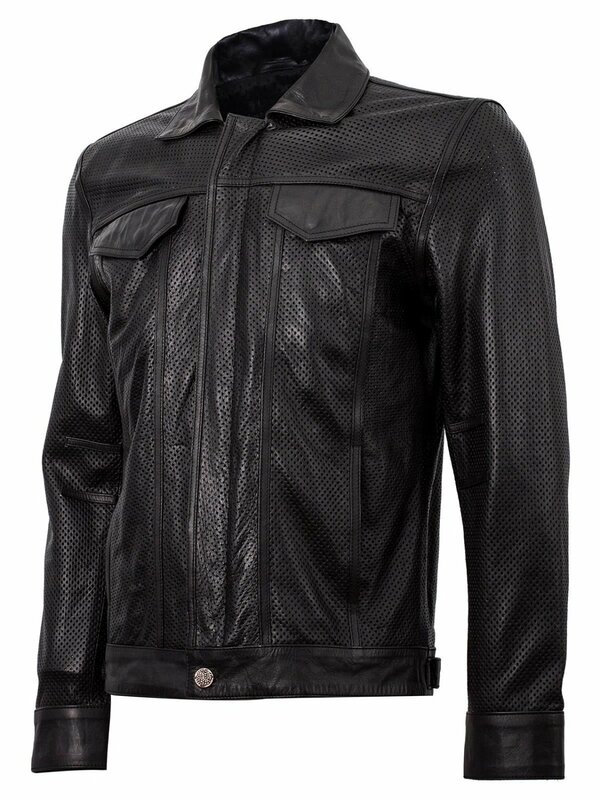 It is a trendy jacket made from real cowhide leather and airy mesh lining. This collar biker jacket is the best jacket if you plan on going out on a fun and breezy summer ride.